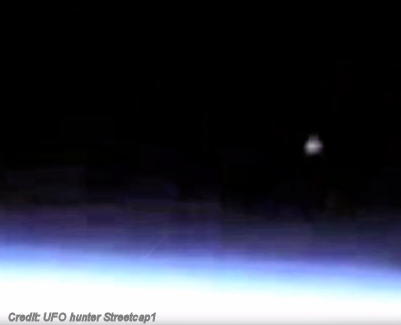 NASA is offering an explanation for the space video controversy that has some UFO believers up in arms. The video appears to show an object entering the Earth's atmosphere before NASA's live feed from the International Space Station abruptly cuts off. Some conspiracy theorists were quick to suggest that NASA was trying to hide something. ... But NASA says there's a fairly mundane explanation for why the feed was interrupted. "The video is from our High Definition Earth Viewing (HDEV) experiment aboard the ISS, which is mounted externally on the ISS," NASA spokesperson Daniel Huot told CNET via e-mail. "This experiment includes several commercial HD video cameras aimed at the Earth, which are enclosed in a pressurized and temperature-controlled housing. The experiment is on automatic controls to cycle through the various cameras."